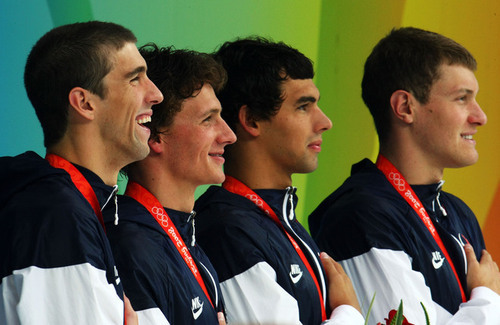 men's 4x200 freestyle relay. . Wallpaper and background images in the Michael Phelps club tagged: michael phelps american swimmer olympics photos. This Michael Phelps photo might contain regimentals, dress blues, dress whites, and full dress uniform.